Are you are looking for a heavy-duty overhead door for your commercial property? Look no further than the Amarr Model 1000. 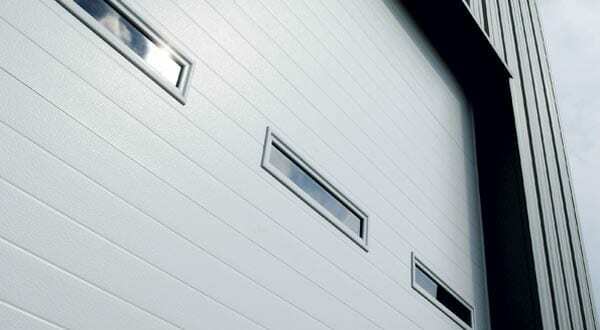 This is a superior overhead door which is built to last, withstand wind and rain, as well as provide insulation. If this sounds like a door you are looking for, allow us at Action Garage Door to install it in your place of business. We are proud to offer our services to Austin, Dallas/Fort Worth, and Houston. You will not find any other garage door companies that can offer the same level of satisfaction or the wide variety of products we offer. The Model 1000 is one of the most basic options provided by Amarr. It has proved itself to be dependable and strong. Each side of the door is comprised of solid steel that sandwiches an insulating layer of polystyrene. The steel makes the door heavy and durable. It is perfect for loading docks or in industrial machine shops and warehouses. This door can be ordered and installed with a call to one of our offices. We at Action Garage Door look forward to your email or call. You can find our offices in all the major cities in Texas. To purchase the Amarr Model 1000 or any other garage door, contact us at the location closest to you.